5.88% of people buy Ty Peter Rabbit: Peter Rabbit - Small Plush and LGB The Tale Of Peter Rabbit ~ Hardback ~ Beatrix Potter. You and your child can use your imagination to act out Beatrix Potter's tale of a famously naughty bunny with this stuffed animal. 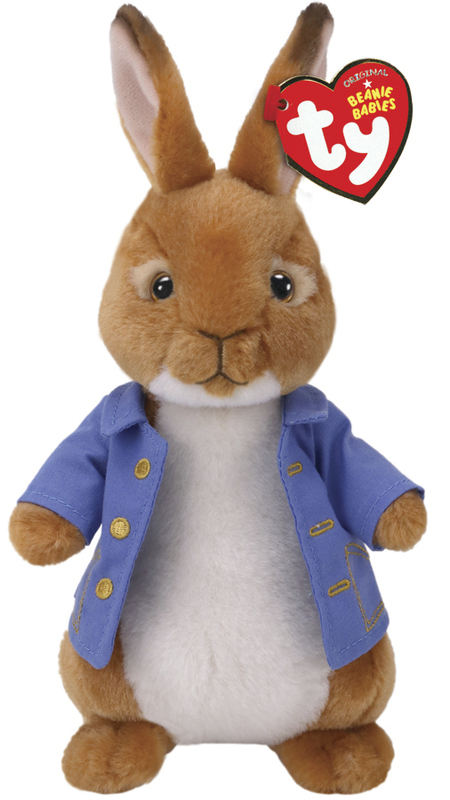 The 8-inch-tall Peter Rabbit is from the classic Beanie Babies Peter Rabbit collection. The familiar heart-shaped tag means you have chosen a quality plush toy that is soft, cuddly and handmade with the finest fabrics. Ty…from our heart to yours! Ty Beanie Babies Peter Rabbit Collection stuffed animal. Handmade with the finest quality standards in the industry.